This week has flown by, I can’t believe it’s already Friday! For us that means it’s time to pack up and ship out to get this graduation party season started. While I gather our things for a little road trip, I’d like to share some things I saw and loved this week. Enjoy! One of my favorite shops in LA is Flock Shop. They have great clothes, jewelry, artwork, and one of kind pieces. 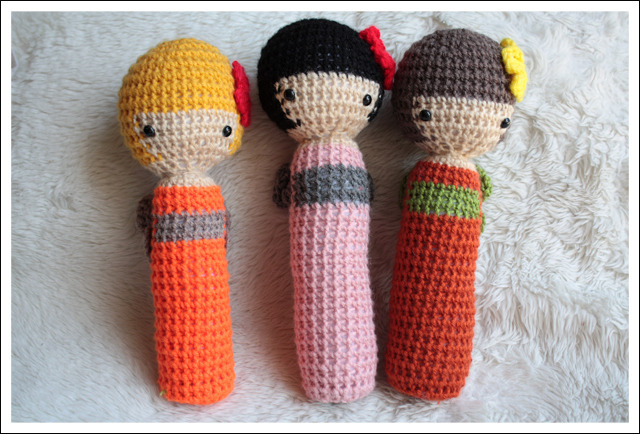 While checking out their site this week I spotted these adorable Krokeshi Crocheted Kokeshi Dolls by Emi M. They also carry a cute mini version. 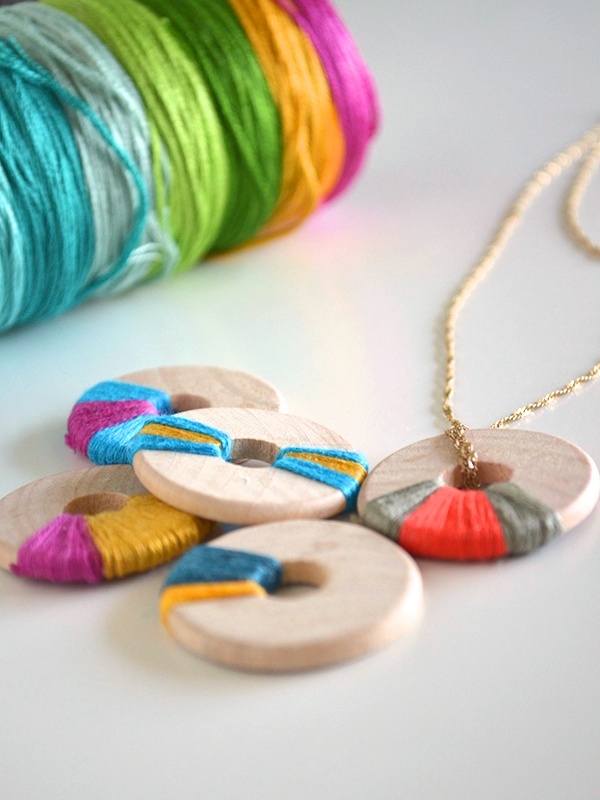 I love this DIY Wooden Jewelry project from See That There. It’s a great project for both Sydney and myself. I also think this idea could make for some fun gift toppers! This last one is hands-on fun for the kids. 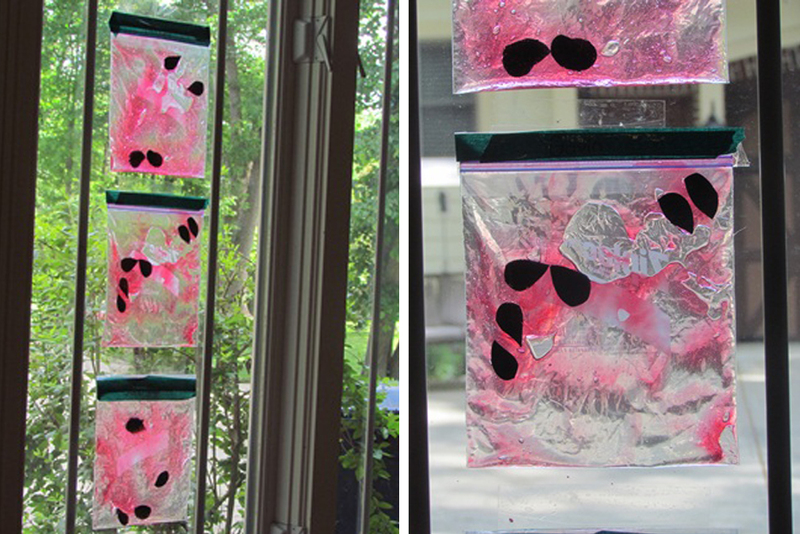 From Teach Preschool I can’t wait to make these cool Simple Watermelon Suncatchers with Sydney! I hope everyone has a fabulous weekend! And don’t forget to head over to my facebook page and like me, and you can follow me on Twitter here. This entry was posted in Things I Loved This Week and tagged crocheted dolls, DIY, dolls, flock shop, kokeshi, krokeshi, preschool, sun catchers, suncatchers, toddler, watermelon, wood necklace by shaleah. Bookmark the permalink.